7.6 INDIAN SUBCONTINENT QUAKE OF 10/8/2005 CARRIES AN OCCULT SIGNATURE OF 911 PREVIOUS QUAKES SHOW SIGNATURES OF '11' AND '1-9-11' - PROVING THE PAST 3 MAJOR QUAKES WERE PRE-PLANNED AND NUMERICALLY LINKED! Title: 7.6 INDIAN SUBCONTINENT QUAKE OF 10/8/2005, CARRIES AN OCCULT SIGNATURE OF "911" - PREVIOUS QUAKES SHOW SIGNATURES OF "11" AND "1 -9-11" == PROVING THE 3 PAST MAJOR QUAKES WERE PRE-PLANNED AND NUMERICALLY LINKED! Subtitle: Incredibly, this extremely powerful earthquake forms a "911", thus tying it into the global effort to stage the coming Masonic Christ. Further, two earlier quakes show occult signatures of "11" and "1-9-11" respectively! Three massive earthquakes all showing occult numbers in a variation of the theme of "11". For the past few decades, the world has literally been "shaken violently", staggering to and fro like a drunken man, even swaying like a hammock. Many survivors of such quakes have reported exactly these sensations. Since sinful mankind has inherently trusted the firmness and stability of the earth, that is one area of dependability God is going to take away; but, more to the point, this is one area God is going to turn back upon mankind as a weapon of destruction. If you do not understand that global scientists working for the "Illumined Ones" to control the weather and all aspects of it, please take a few hours to read the articles and testimonies we have gathered together in our Weather Control - Weather Warfare Section. "Others are engaging even in an eco-type of terrorism whereby they can alter the climate, set off earthquakes, volcanoes remotely through the use of electromagnetic waves ... It's real ..."
Doubt it not! Scientists today control all manner of weather, even tornadoes, jet streams, hurricanes, flooding, drought, and earthquakes. And, scientists exercise this control exactly as Secretary Cohen stated: through electromagnetic waves! 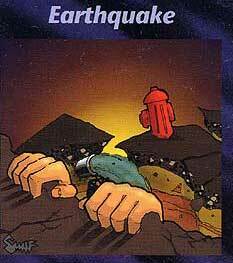 As these two Illuminati Card Game cards, above, further indicate, powerful earthquakes are planned to be very effective ways in which to create the chaos out of which the Illuminati can bring a New Order, the Novus Ordo Seclorum on the back of the American One Dollar Bill. Since the Illuminati can control such events as earthquakes, and since earthquakes are such effective instruments in creating the chaos needed to overthrow the Old World Order, you would expect that the major quakes are pre-planned as to location and timing. As our recent research has indicated, the past three major earthquakes since December, 2003, have an interval which contains a shocking "occult signature" of the numbers, "11", "911" and "13".
" KASHMIRIS poured into the streets in panic today as a powerful earthquake measuring 7.6 on the Richter scale rattled the region ... The quake, centred about 100km north of the Pakistan capital Islamabad, has also killed dozens of people in Pakistan. Screams were heard from across Srinagar, the summer capital of Indian Kashmir, as people fled homes, shops and offices fearing they would be buried under rubble ... Men spontaneously started reading out verses from the Koran, the Muslim holy book, and women beat their chests in a traditional display of bereavement." "A tremor of magnitude seven is a serious earthquake capable of causing widespread heavy damage ..."
This horrible earthquake struck early in the morning, on Saturday, October 8, 2005. To view a map of this earthquake, view the Texas University Map Center, entitled, "South Asia Earthquake, October, 2005"
Please note the official timing of this initial quake shown on this map: 3:50, UTC, or 8:50 local time, October 8, 2005. Of course, discerning readers will realize that the local time adds to a "13" (8+5), which is the occult number for extreme rebellion against God's constituted authority. Remember the devastating 9.3 earthquake which struck in the Indian Ocean just off shore from Sumatra, Indonesia, on December 26, 2004? That quake literally rocked the earth on its axis and created such a devastating tsunami wave that estimates of the dead still are in the range of 100,000 and will never be truly known. This tsunami smashed into the Indian continent in the Bay of Bengal area, in the same general geographical area as this most recent quake of October 8, 2005. 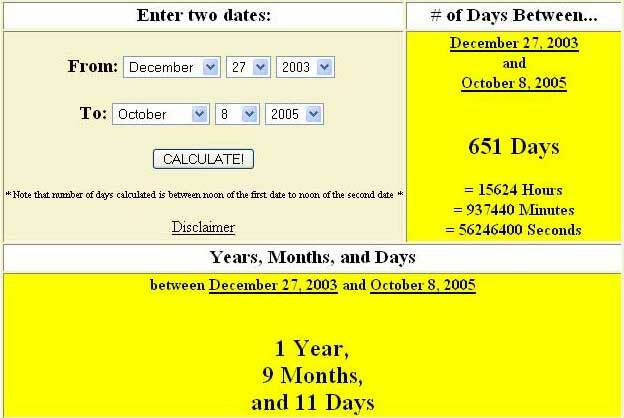 Please note that the interval between the Indian Ocean quake/tsunami of December 26, 2004, and the most recent quake of October 8, 2005, is precisely 9 months, 11 days! This interval thus shows forth a "911" -- another "911". Please carefully examine this Calendar Calculator, which shows this interval. 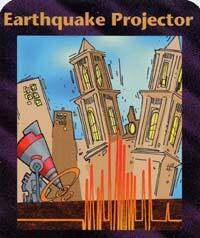 The day of the Indonesian quake was December 26, 2004, which makes December 27 as Day One of the interval. Therefore, the interval of time between these two quakes shows an occult signature of "911". The meaning of this "911" is the same as it was on September 11, 2001, when the Illuminati hit the Twin Towers and The Pentagon, i.e., the number "9" means "final things" and the number "11" is the number of the coming Masonic Christ; therefore, "911" designates the final push of the Illuminati in their effort to stage their Christ. 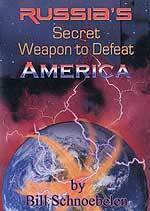 Since they plan World War III as the Final Birth Pangs which will produce their Christ, we knew on 9/11/2001 that the world had entered the final phase of producing the Final Birth Pangs War for Antichrist. To see how pervasive the number "11" was in the operation of the 9/11 attacks, and to see how important September 11 has been to occultists, please take a moment to read our NEWS1756, "Events Continue To Come Down 'By The Numbers' -- Occult Sacred Numbers". 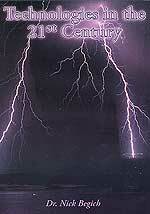 You will be shocked to see the emphasis occultists throughout history have placed upon the numbers, "11" and "911". In our analysis article, NEWS1992, "Quake In Iran On 12/26/2003 And the Asian Quake on 12/26/2004 Contain Occult Signature", we reveal that the these two quakes were exactly 1 year, 1 day apart. Not only does this number form an "11", but waiting 1 year, 1 day carries great significance in Satanism. In Olde English Witchcraft, if a person wanted to join a coven who had a Christian background, that person had to renounce Christianity and then wait 1 year, 1 day afterward before they could join the coven! This period of time was to be spent as a period of "spiritual cleansing", so Christianity could be properly expunged from the candidate's life. But there is more to this story! 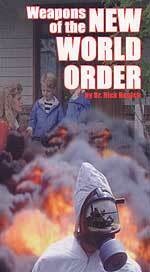 As we demonstrate in NEWS1789, the attacks on 9/11/2001 followed the actual "birth" of the New World Order on September 10, 2000, by "1 year 1 day"!. This reality means that the timing of 9/11 occurred according to the doctrines and thinking of Witchcraft and that the target of the attack is Christianity, since the time period came into being because the coven leader wanted to ensure that the Christianity in the background of the prospective member had been thoroughly eradicated. Given all the instances where an "11" or a multiplication of "11" undergirded the entire attack episode on 9/11/2001, when we realized that the exact time period between the official birth of the New World Order and 9/11 was exactly one year, one day, the understanding that 9/11 was merely a staged, planned event to enable the Illuminati to make all the final changes necessary to stage their Antichrist became very clear and very firmly rooted. 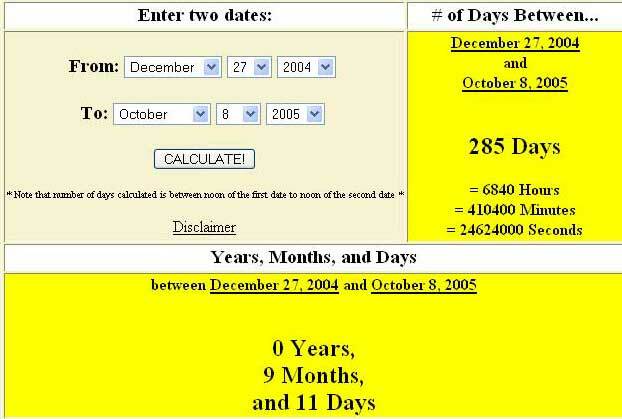 Now, notice the Calendar Calculator, above, which shows that the interval of time between the Iranian quake of 12/26/2003 and the most recent Indian Subcontinent quake of 10/8/2005, is exactly 1 year, 9 months, 11 days! 1) All these quakes contain a powerful "occult signature" of "11" and of "9"
2) All these quakes were pre-planned as to timing. As the United States awaits the third and final "FEMA prediction", i.e., a major quake on the San Andreas Fault, we must now realize that the exact date and timing of this massive quake is undoubtedly pre-planned as to location, timing, and intervals. Exactly what previous event the Illuminati is using to plan this California quake is unknown and probably will remain unknown. But, Californians know one thing for sure now: they and their beloved state has a bulls eye printed directly on them. Jesus was truly correct when he foretold that, at the End of the Age, earthquakes will be one of THE signs that His appearance was close, even at the very doors. Truly, the End of the Age is upon the world.